The 4 Musketeers Walk Again! 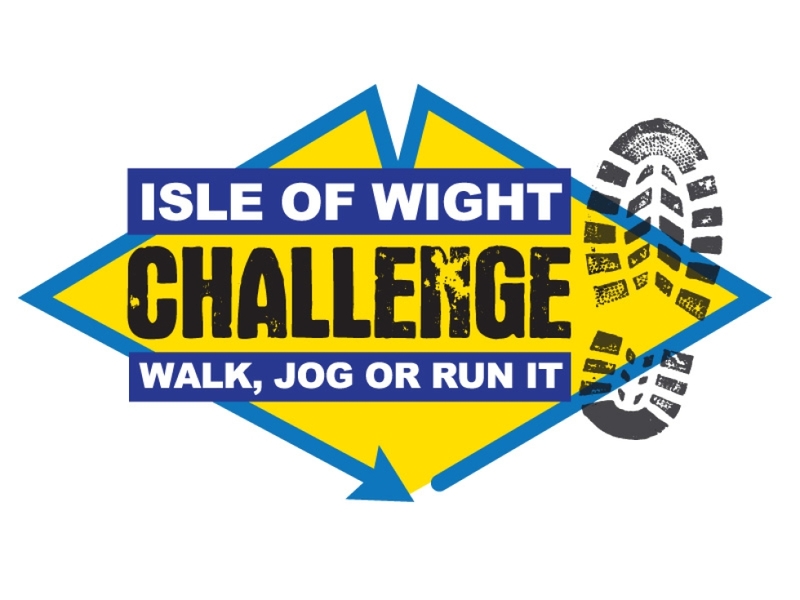 On the weekend of 2-3 May, four intrepid trekkers AKA 'The Four Musketeers' will aim to complete the Isle of Wight Challenge. However, this is no ordinary challenge! 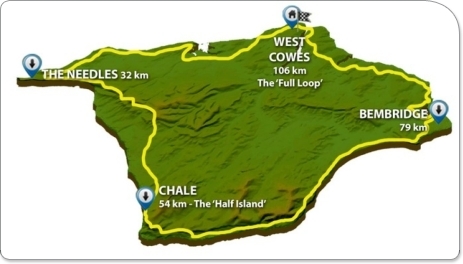 The team will aim to complete the gruelling 106 Km course in just 24 hours! This is not an easy task with plenty of ups and downs along the route, potentially strong headwinds and variable weather conditions as well as a challenging timescale. 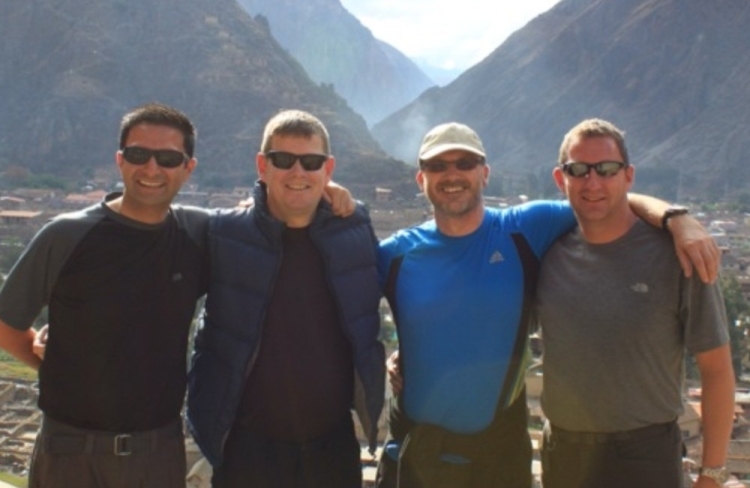 Fresh from our Peruvian adventure in 2014, we have been looking for another challenge to stave off the ageing process, keep our bodies in a decent working order and raise some much needed funds for Run 4 Cancer - a cause which is extremely close to all our hearts. 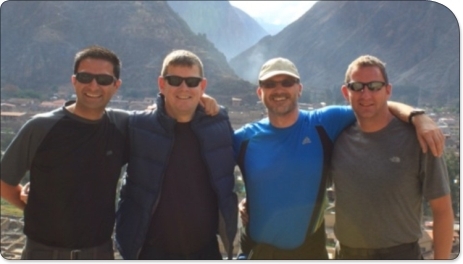 So if you like the idea of 4 geezers, trekking around an island, whilst singing very badly to some 80's tunes as they try to take their minds off the pain in their ankles/knees/hips as well as the blisters and chaffing(!) then please dig deep to support this excellent cause. Well done guys - hope Sean's Achilles recovers! Nice work gang . . .can you walk today?! Well Done chaps - great effort. Shame it was so wet!! £10 from Chris Sendall and David Webb , thanks chaps much appreciated ! from Mr Linsday Bray NFUM agent Warminster. Fantastic effort guys! Well done to you all! Better late than never. Congratulations all of you. A fantastic achievement for a very a great cause. Well done Sean - you can have my Marathon donation this year, you deserve it. Well done to you and the others. Well done guys...truly fantastic amount of money raised for a cause close to my heart. Bet you had fun too... Any spandau tunes? Well done lads - very impressive!! Well done all. Great effort. Warren and Suzy. Think you're all mad but hope it hasn't been too painful. Great cause so well done. Enjoy your gentle stroll!! Good luck guys. Good luck guys, look forward to hearing about the blisters. All the Best Chets and crew!!! Good luck Truscott & boys! You'll do anything to avoid watching Liverpool these days....don't blame you. Good luck guys - you certianly dont do things by halves! Have fun and well done for taking on such a tough challenge to support such a worthwhile cause. Good luck from an 'Islander' who has walked the route a few times but never in the timescales you've challenged yourselves to do ! Good luck chaps, enjoy the South Island!! Good luck to you Sean.Proud of what you and your fellow walkers are doing.COYI. good luck - hope the weather holds! Good luck chaps. In light of the fact that Chris has so far only managed 5 miles before getting bored can I recommend 'I spy....' to keep him amused! Best of luck to you all and Modi no cheating by walking on water!! You might be good on the trumpet but you're not quite that good. Great idea guys. Good luck! Well done guys - I'm expecting a photo to rival the llama selfie though! Good luck. What a mission! Rather you than me but a great cause! Great cause, great challenge and what I know will be great success too...well done, good luck! Good luck guys, I'm sure you'll have a blast! Can I put my song requests in now? I hope you find some Damsels in distress to rescue ! Good luck and have a great time. Good luck to all 4 of you for a great cause! Good luck Chets. Great challenge. Great cause. Good luck guys! Steve, Vee & Kye! good luck all I have every faith in you! All the best lads, particularly with the chafing. Great cause guys, good luck. Good luck guys. Let's hope its all 'wight' on the night! Dudes! You're all mental. Seriously though, fair play, best of luck and I wouldn't want to be the one waiting at the end with towels! Good luck with the blisters! 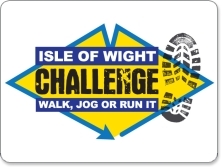 Best of luck all...After Peru the IoW should be a walk in the park! A cause very close to my heart, I really admire you for doing this and know you will achieve! Throw in a kebab and a few beers, surely this will be just like a normal night out in Bristol? Hope the weather holds!! Good luck guys. Well done Sean & team. Good luck Chris. Which Musketeer are you??! Just to get us off Zero ! !